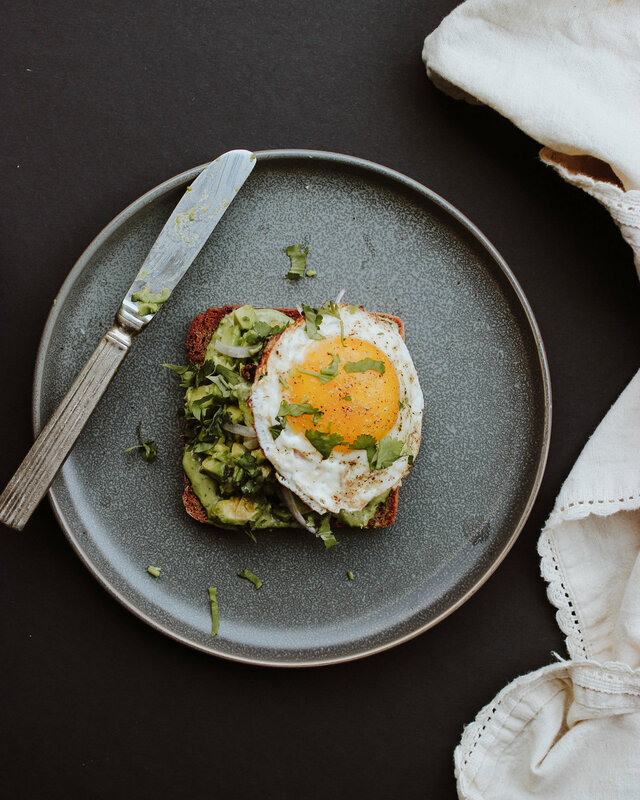 A delicious breakfast or lunch, avocado toast can become a staple of your quick-and-easy weekday meals. This particular avocado toast is rich, savory and full of healthy fats and protein to keep you full throughout the day. Spread the Green Goddess Tahini evenly on a slice of warm toast. Top with diced avocado and red onion. Cook your egg however you like, and slide it on to the toast for an extra kick of quality protein and B2. Fresh cilantro will make a perfectly well-rounded garnish (it goes wonderfully with the Green Goddess Tahini,) and a sprinkle of lemon juice will keep your avocado from oxidizing. This dressing will thicken in the fridge, so don't be afraid of over-thinning it. Blend* all the ingredients together in a food processor or blender until herbs and garlic are finely chopped. Slowly drizzle in water until your dressing reaches your desired consistency! Store in a jar or other air-tight container for up to one week. *You can also chop the ingredients finely by hand, and mix in the tahini and water to blend the dressing. Older PostCherimoya: The Greatest Fruit on the Planet? Probably.